Variety reports that American Sniper has overtaken The Hunger Games: Mockingjay— Part 1 to become the highest-grossing domestic release of 2014, settling, at least temporarily, the question of who has more cultural pull: Fox News aficionados or their teenage progeny. 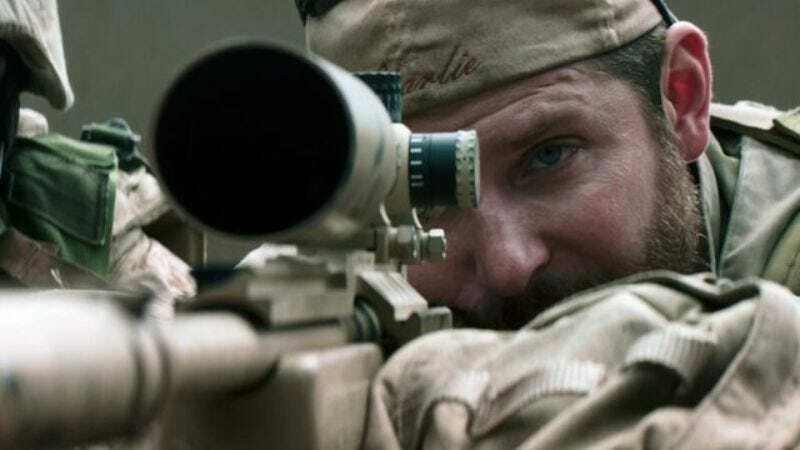 Since its debut in December, American Sniper has raked in $337.2 million at the box office, a number even more impressive considering that the film didn’t open in wide release in the U.S. until January 15, 2015. With a reported budget of $58.8 million, that means American Sniper has grossed a cool $278.4 million so far, enough to invest in 278.4 million more rubber babies from the dollar store. Somewhat surprisingly for such an unabashedly patriotic movie, American Sniper has also been doing respectable business overseas; it’s made $140 million abroad so far. Of course, that number is laughably small compared to the worldwide box-office champion of 2014, Transformers: Age Of Extinction, which, even without the crucial Kid Rock endorsement, made $1.1 billion worldwide.